The first flight to Baku from the new airport in Istanbul will take place on November 1, 2018 at 15:55 (GMT + 3), the General Directorate of State Airports of Turkey (DHM?) said in a statement. The return flight from Baku to the new airport in Istanbul will take place on November 2 of this year at 08:53 (GMT + 3), the message says. 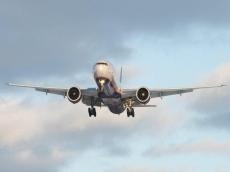 The day before it was reported that the sale of tickets for flights from the third airport of Istanbul to Baku began.